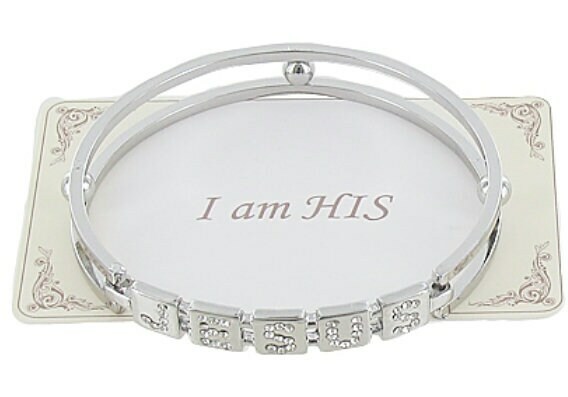 PeSilver Rhinestone JESUS lettered Cuff Bangle Bracelet. Split Cuff makes it east to get on! Bright Silver color. Rhinestone Outlin Lettering. Super elegant! Hinged opening Bracelet measures 7 3/4".